After numerous passing encounters with guitarist Teddy Bunn on the records of others we finally get a chance to be formally introduced the man himself in a one on one situation. Among the most admired musicians of his era, Bunn’s career in many ways was a frustrating exercise in bad timing. An ahead-of-time guitar player who was ideally suited for the style of music that was only just coming into sight as his own heyday was winding down. But during this brief period where the two passed each other in the night, Teddy Bunn showed why he was such an ideal fit in rock ‘n’ roll. Though we’ve given a basic primer on Bunn’s life and career before when talking about his work with Edgar Hayes & His Stardusters, we might as well take this opportunity to at least give everybody a more thorough breakdown here while we have the chance. 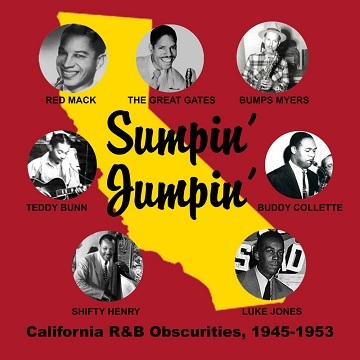 Teddy Bunn was forty years old in 1949 and a twenty year veteran of both jazz and blues outfits, as well as such bygone styles as washboard bands that had some appeal in the early 1930’s. He was one of the best guitarists around in whatever style he hung his hat, but the problem was he might’ve been too good at the time for any of those styles to really appreciate. When he began as an acoustic guitarist his best bet for stardom probably would’ve been the blues, where the instrument was most prominently featured, as such legendary figures as Charley Patton and Blind Lemon Jefferson had shown. Instead Bunn found himself in jazz groups which didn’t utilize the comparatively muted sound of the guitar as much as they did the louder and more vibrant brass sections. So he got his widest acclaim playing with The Spirits Of Rhythm, a jazz string band which forsook horns altogether, yet as interesting as their work was it wasn’t commercial enough to compete with the bolder brass-rooted swing bands that were sweeping the nation. So by the dawn of the 1940’s Bunn became one of the first to make the switch to an electric guitar, something which had the potential to be heard more in a busier and louder jazz arrangement. Except the instrument proved to be something of a tough fit in the more traditional styled bands. 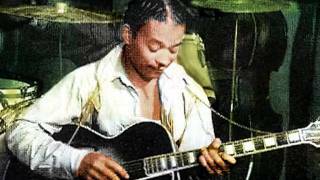 While some managed to stand out, Charlie Christian and Tiny Grimes, who’d also make the move to rock down the road, the electric guitar was still something of an anomaly, at least until Wes Montgomery came along in the late 1940’s and showed how it could be done. By this point Bunn had to be growing frustrated. It’d be like being the best hockey player in Louisiana, or the best deep sea diver in Kansas. Your skills just weren’t a perfect fit in any of the avenues you tried. As a result Bunn joined with Edgar Hayes, another jazzman seeking redemption. Hayes had made waves in the late 1930’s with a big two-sided single but hadn’t gotten more opportunities to record and found himself as a club musician haunting the California coast. He enlisted Teddy Bunn and the two of them with the newly named Stardusters would bide their time, playing loads of gigs, sharpening their cohesiveness as a unit, all while hoping another opportunity to get back in the studio might come their way. Bunn would cut some sessions from time to time, mostly as a sideman and largely in blues, but it wasn’t until early 1949 when the Stardusters entered the studio for Exclusive Records and came away with a genuine hit in Fat Meat N’ Greens that things started looking up for them. The thing about it was, the song wasn’t a jazz number, nor was it blues. It was rock ‘n’ roll. That decision to switch genres, whether intentional or accidental, proved to be the best thing that could’ve happened to them. Jazz was on the wane and certainly for older artists the likelihood of finally breaking through in an increasingly narrow field was unlikely. Blues was entering their biggest commercial period, but it was with a far more harsh and aggressive sound than these guys had been comfortable dabbling in. But rock ‘n’ roll was still pretty much a book with a lot of blank pages to be filled and for those as talented as Hayes and Bunn, along with bass player Curtis Counce and drummer Bryant Allen, it must’ve been seen as being full of enticing possibilities for reinvention. When their song, a grooving instrumental that fit perfectly in the rock scene of 1949, cracked the charts they were on their way to some belated recognition. More songs followed including another hit in Blues At Dawn, but all of them were well done, whether their own sides or backing others like vocalist Clifford Blivens, showing they had a genuine feel for the requirements of the music. These were no outsiders dropping with barely concealed disdain for rock’s limitations, opportunists merely seeking a quick payday and perhaps a cheap hit. They truly believed in the music’s possibilities and did their best to not only conform to the standards already set, but to establish some standards of their own in the process, largely through Bunn’s work on the guitar. 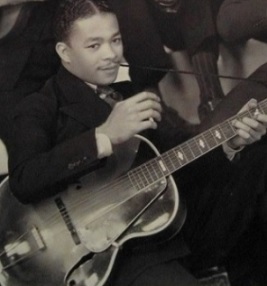 Though that instrument was still something of rarity in rock arrangements, it was becoming more prominent as of late thanks to Goree Carter and Jimmy “Babyface” Lewis, and Bunn tapped into that growing appeal with some of his best guitar work on Edgar’s Boogie, ripping off some truly scintillating lines with a sinister quality that immediately elevated him into contention for wearing the crown among rock guitar gods. So it’s with great anticipation that we get to hear what Bunn might come up with on his own, where he’s the one being contracted by another label altogether, one who wants the entire focus on his playing rather than having him as only part of a larger more diverse ensemble. Though Bunn would at times revert back to older forms of music with other recordings, on Irritatin’ Blues he sticks to rock ‘n’ roll and proves his earlier instincts correct, validating his late career direction. And he sings alright. Not great mind you, but modestly well all things considered. It starts off in more predictable form with Bunn’s electric guitar slicing through the melodic intro laid down by Pony Poindexter’s alto sax. We’ve already said how the guitar itself is not yet commonplace in rock, but it’s also usually the tenor, not alto, which takes on the primary horn responsibility. Yet the two of them don’t sound the least bit out of place here because they’re adhering to very basic principles that most good rock songs have learned to follow, namely laying down a propulsive sound that sweeps you up before you have a chance to critique the instrument choices. Not that you would quibble with them once you hear what they’re offering. The alto, though a higher range with less muscle than the tenor, isn’t being asked to do any raunchy playing here, but simply establish a grooving melody that can be ridden by the others. It might be the instrument with the most airtime, but it’s taking on a supporting role in how it’s used and that works well, giving Irritatin’ Blues a built-in sense of balance. Bunn’s guitar obviously is going to make its presence felt too and his interjections are sharp and clean, though brief, as he builds towards the introduction of his own vocals. You’re never really sure what to expect when it comes to a behind the scenes musician stepping into the spotlight, something which is exacerbated by that musician deciding he’s a vocalist all of a sudden. You can easily imagine him awkwardly croaking his way through this with an under powered voice and no sense of how to deliver a song other than with his fretting fingers. But Bunn has decent enough pipes, slightly weathered maybe but hardly archaic in his delivery. He’s singing is somewhat rudimentary in terms of delivery. He wrote the song himself and purposefully kept the cadences the lyrics require as simple as possible, trying to minimize his chances of screwing things up. As such there’s nothing about the vocals that will stand out, but that goes both ways… it won’t stand out because it’s not overly impressive, but it also won’t stand out for being demonstratively bad. Basically he’s serviceable and the rhythmic pattern he uses to get the song across is in line with most of what rock is already known for, so it fits. As for what he’s singing about, this too fits without doing anything to make itself noticed beyond that. Like so many other rock artists he finds himself longing for a girl he once knew who has apparently either moved on, or if they’re still technically together they haven’t seen much of one another, possibly because he’s been on the road all the time. It’s strange this is such a recurring topic in songs since it’s always been assumed the reason guys went into rock ‘n’ roll in the first place was because being a rock star made you a chick magnet. Instead he and more than half of the artists we’ve come across to date in this field, seem to be less successful getting a single date than the nerdy butterfly enthusiast down the street who still lives with his mother and listens to polka music in his spare time. But Teddy Bunn has one thing going for him that the amateur lepidopterist can’t hope to compete with no matter how many colorful winged insects he collects, and that’s Bunn’s mastery of the guitar, which is what the real show here is going to be. You knew, even when hearing the alto sax carrying much of the instrumental load, and even with Bunn’s attempt at tackling vocal chores, that Irritatin’ Blues was going to be defined by how he wielded his axe during the proceedings. If he was reluctant to show off, or if he stuck to older approaches from other musical styles, then chances are this would fall flat and we’d be cursing his timid choices. But instead Bunn flashes us a knowing smirk as he launches into the first of multiple solos early on and we know right away we better grab hold of something and hold on tight. His accents notes and brief runs after each line of the verses are merely whetting your appetite for what follows and when leading into the one minute mark he cuts loose you feel yourself being thrust back in your seat as he takes over with startling self-assurance as he rips off one scalding riff after another, the first of which is designed to knock your eyebrows off from the sheer suddenness and over-amped power it possesses. He eases back after that, shifting into a series of one-note cascades and then leaps to a more high-wire act of the musical variety, weaving from side to side without any fear of falling, swinging in a way that no jazz band has ever “swung”. It’s an edgy dangerous sound, one fraught with tension yet never seems at risk for collapsing and breaking apart coming back into the atmosphere. He knows exactly what he’s doing, where he’s going and how to control every aspect of the performance for maximum response. The entire solo lasts 50 seconds, a third of the total playing time, which shows that he and the record label knew what the appeal of Irritatin’ Blues would be and were going to make sure not to shortchange those who expected nothing less out of him. When he returns for the vocal bridge his tone shifts rather unexpectedly and he hints at having a bit more versatility as a singer than we might’ve given him credit for, but after such a torrid display on the guitar his vocals certainly are not going to be remembered for long when this stops spinning. What we want is more guitar fireworks. Sadly there’s not any room left for it. The whole group here, which includes the rhythm section of the Stardusters, Counce and Allen, plus pianist Jerome Parsons, to go along with Poindexter and Bunn, work really well together, the song building off the foundation they ably set. 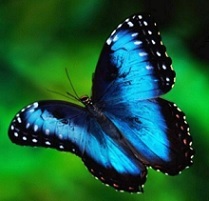 But in the end there’s only one featured attraction that is going to be causing a buzz and we all know what that is. By this point he had to realize he wasn’t going to ever become a big name star, but he doesn’t seem to mind. As long as he can play, as long as someone is willing to listen, he’d be pretty happy. And if something he did could contribute in some small way to the increased focus on his instrument of choice, well that’d be more than enough reward for him by the sound of it. The guitar may be a ways away from fully taking over rock ‘n’ roll but if you were looking for another sign as to why that might be inevitable, let your imagination run wild as Teddy Bunn provides you with another glimpse into tomorrow. 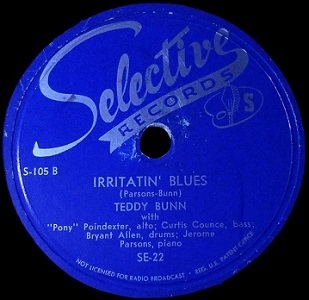 Leave a reply on "Teddy Bunn: “Irritatin’ Blues”"